Magnetohydrodynamic turbulence is thought to be responsible for producing complex, multiscale magnetic field distributions in solar active regions. Here we explore the multiscale properties of a number of evolving active regions using magnetograms from the Michelson Doppler Imager (MDI) on the Solar and Heliospheric Observatory (SOHO). The multifractal spectrum was obtained by using a modified box-counting method to study the relationship between magnetic-field multifractality and region evolution and activity. The initial emergence of each active region was found to be accompanied by characteristic changes in the multifractal spectrum. Specifically, the range of multifractal structures (D div) was found to increase during emergence, as was their significance or support (C div). Following this, a decrease in the range in multifractal structures occurred as the regions evolved to become large-scale, coherent structures. From the small sample considered, evidence was found for a direct relationship between the multifractal properties of the flaring regions and their flaring rate. Mach, J., Mas, F.: 1997, http://www.qf.ub.es/d2/jordi/mfrac.html. Miesch, M.S. : 2005, Living Rev. Solar Phys. 2(1). 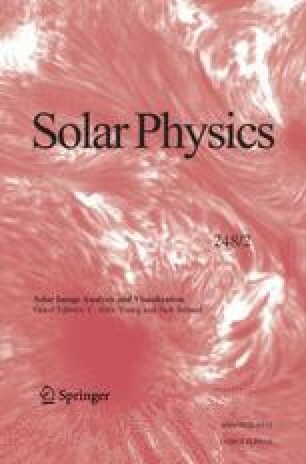 http://solarphysics.livingreviews.org/Articles/lrsp-2005-1/.